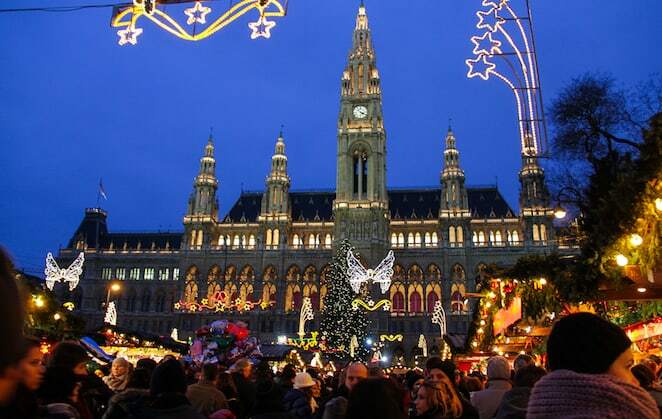 It’s tough trying to find the best Christmas Markets in Europe. Ah, truly it is. As some of you may know, I spent most of December criss-crossing along the former Iron Curtain between Istanbul and Berlin as part of a project called the #IronRoute. The original motivation had been to make sense of the Cold War. 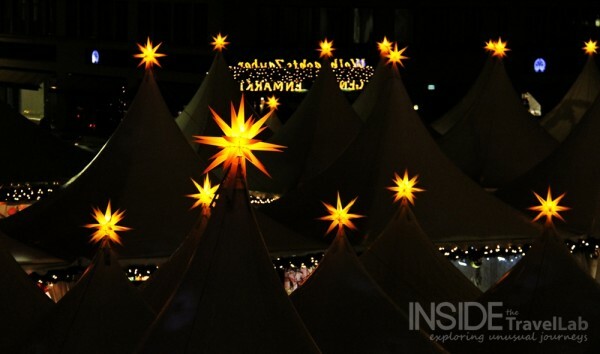 An unexpected advantage was the twinkling Christmas Markets scattered along my path. To spice up the Season of Goodwill even more, I’ve designed specific categories for each Christmas Market so that everyone’s a winner. So, grab a glass of gluhwein yourself and make yourself comfortable. Drumroll please…. The Gendarmenmarkt in Berlin wins this prize outright by being the only Christmas Market I found that had an organised ticket booth with queues and formal entrance procedures. 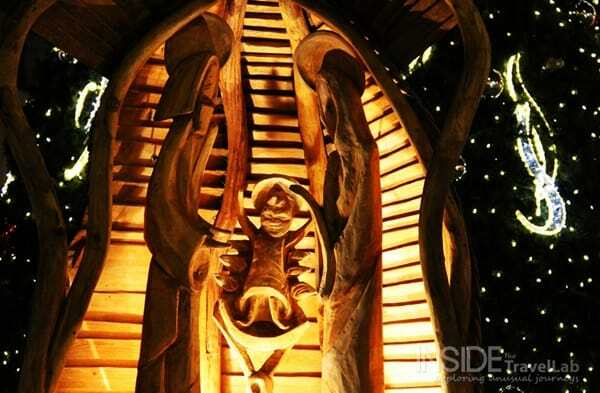 The market itself dazzled, set between floodlit buildings and accompanied by accomplished – and organised – musicians. Why let something stay in darkness when you can throw Christmas lights all over it? 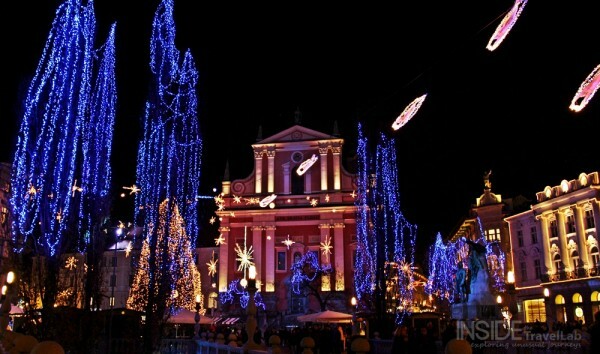 I love the approach that Slovenia took with their Christmas lights in Ljubljana…the more, the merrier I say! Vienna did so well here I’m going to push the boat out and upload another photo. Glimmering away in the shadows of the Rathaus, this Christmas Market was one of the largest and most popular I saw. The weather was biting at the time as well, with sleet, high winds and the kind of low temperatures that make Spaniards shiver at the thought of them. And STILL it was popular. Impressive. 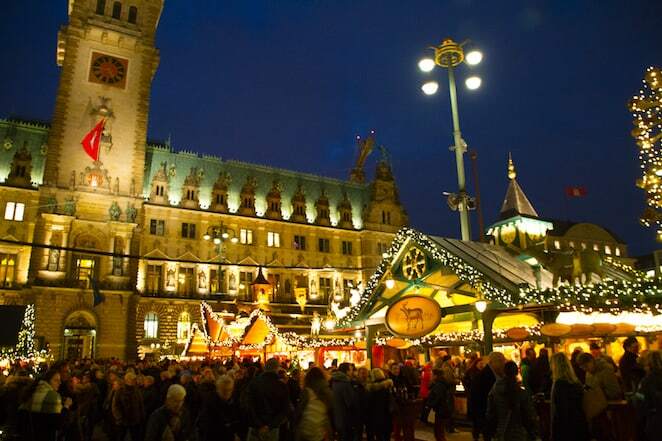 Hamburg, Germany’s largest port, has over 17 different Christmas Markets. The one that stands in the shadow of the Rathaus looks as though it has been around for centuries but actually only popped up around 30 years ago. Who cares, when the gluhwein is this good though?! Who can resist these scarlet starlets? 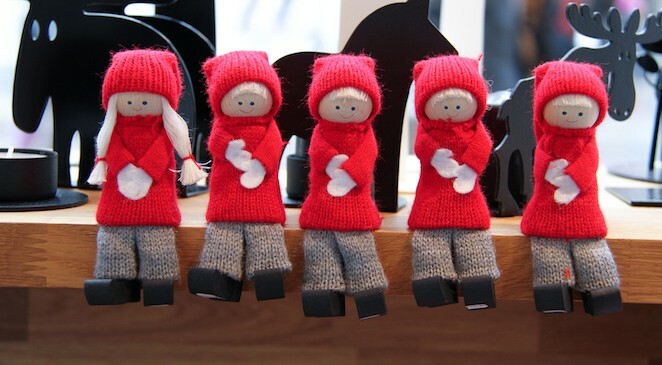 For plenty of wholesome hand-knitted crafts, head to Malmo in Sweden. 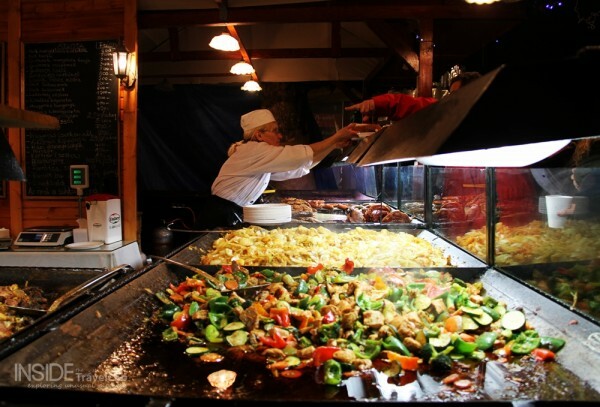 It’s the Munich Christmas Market – or Christkindlmarkt – and it’s rumoured to be the biggest in the world. Normally “big” puts me off when it comes to outdoor crowds. It makes me think more queues, more jostling and more blindness since my rather, ahem, petite stature leaves me nose to coat lapels more often than not. And in gigantic Germany, I start to get dangerously close to waist level. Luckily, in Munich’s case, “big” meant big spaces between stalls with plenty of elbow room and jostling space for the sub-gigantic among us. 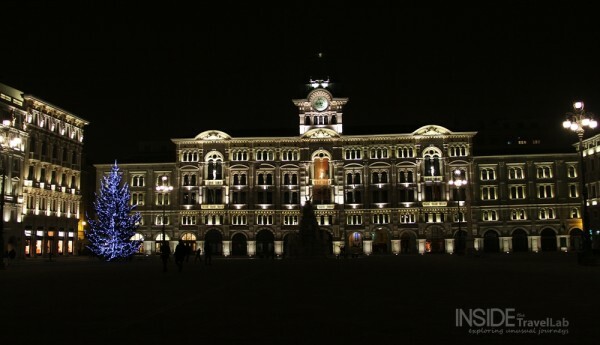 It also meant live Christmas carols from the balcony of the Rathaus, or Town Hall, whose carved stone tower twinkled in the light reflected from the 100 foot high Christmas tree. 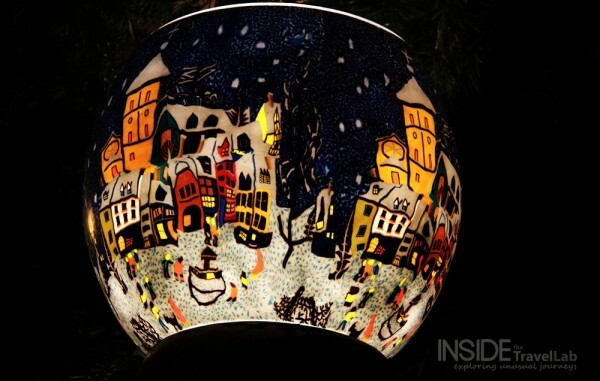 It meant sweet scented gluhwein served in ceramic boot-shaped mugs. Hansel & Gretel cookie houses and iced gingerbread hearts. Bratwurst and grated potato, creamy crepes and candy floss. Sturdy tankards of beer and intricate wooden candlesticks. 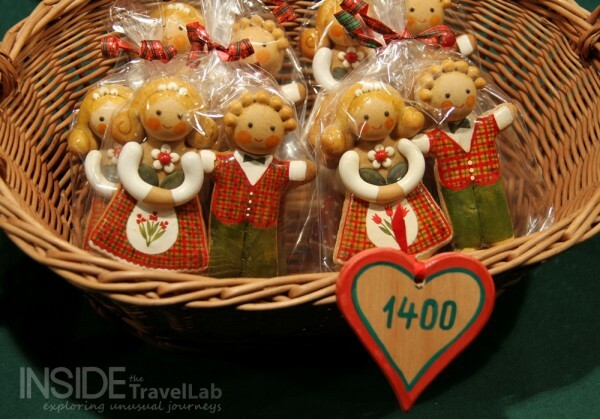 ANOTHER UPDATE: Interested in Christmas Markets in Western Europe? Check out this series from Follow Ben and Jenna.